I can’t believe I almost missed seeing this movie! It wasn’t even on my list of maybes, but when Chantelle and Ahli decided to attend the gala screening I figured I’d tag along (I do love galas). 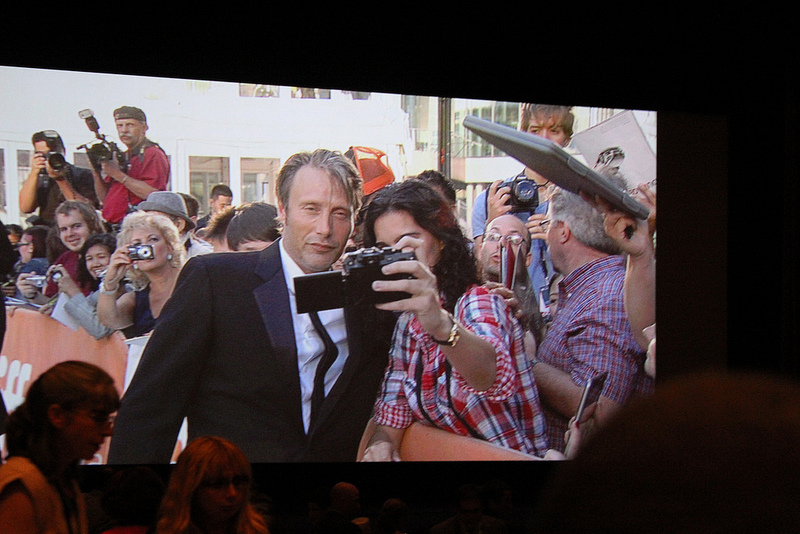 I realized on the night that the last gala I’d attended was another Mads film, and another about an affair. There is something about seeing Mads seduce beautiful women that lends itself well to the setting of Roy Thompson Hall. Anyway, the choice to go was well made, as A Royal Affair was thoroughly enjoyable despite its tragic subject matter. A Royal Affair takes place in Denmark, at the dawning of the age of Enlightenment. Denmark was still a fearfully religious and controlling kingdom and its citizens suffered servitude in fear. The government ruled under the auspices of an emotionally imbalanced king, Christian. Things begin to change rapidly when he is wed to an English lady. Queen Caroline is brought to liven up the kingdom, but the King’s step mother is always around to poison their relationship in the hopes of seating her own son on the throne. What she cannot predict or control is the king’s new personal physician, Johan. He is picked up out of obscurity in Germany, and the king takes to him in a strange relationship that borders on love. Johan is a revolutionary and slowly begins to use his influence on the king to improve the lives of the citizenry. He is aided by the queen when they realize that they are kindred spirits. It is not long however before their own relationship spills over into passion and they begin an affair. It does not go unnoticed, or unpunished, and soon their own anti-censorship laws are used against them. Great tragedy results. 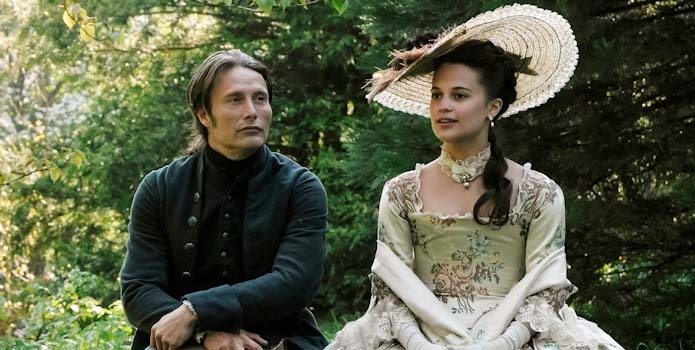 A Royal Affair in many ways fits the mold of a sweeping period drama with little deviation. The fates of the characters seem obvious from the start. But where it sets itself apart is in the performances. Mikkel Boe Følsgaard as king Christian is absolutely brilliant. He plays a man absolutely torn apart by indefinable mental health issues, without coming off as a parody. He is equal parts cruel and sympathetic, and even while hoping for the success of the affair I found myself hoping for Christian to be spared the reveal. Alicia Vikander as the queen was everything a romance like this needs – haughty and vulnerable, deep and still like an ocean. Chantelle’s on-point commentary was that Alicia is everything that Kristen Stewart thinks she is. If she doesn’t win some awards back home I will be shocked. I don’t have much to say about Mads. He brought his A-game of course, but after having seen him emote so much more in The Hunt I can’t help but wonder why he played this role in such a subdued fashion. More passion Mads, more passion! Still, this is one I can imagine watching again. Highly recommended.